This all-natural, organic glide-coat is designed to make swallowing your vitamins effortless. Better health has never been easier to swallow! For more than 10 years, Doctor's Choice multivitamins have been recommended by naturopathic and medical experts worldwide as the best total-body wellness formulas available. The unique blend of vitamins, minerals, and nutrients is specially tailored to your age and gender to provide you with a strong nutritional foundation for a healthy life. It's your daily Rx for better living! 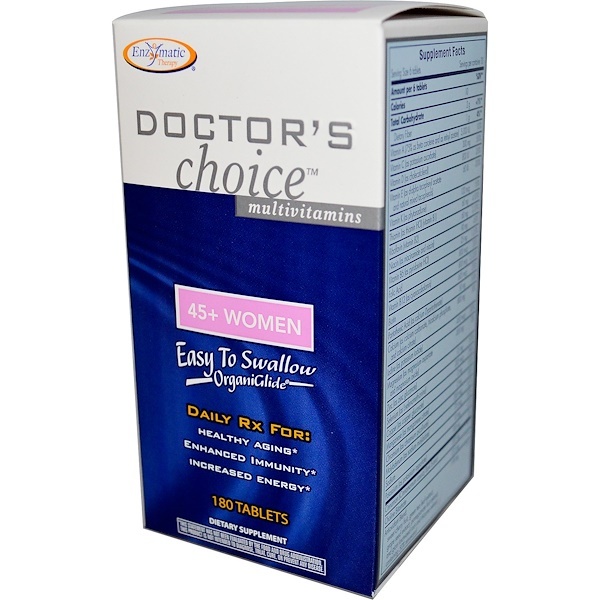 With more nutritional power than the leading competitor, Doctor's Choice 45+ Women is targeted to deliver healthy aging, increased energy, balanced nutrition, and is an excellent source of calcium.† It's the choice for better living! †Based on a milligram-to-milligram comparison. 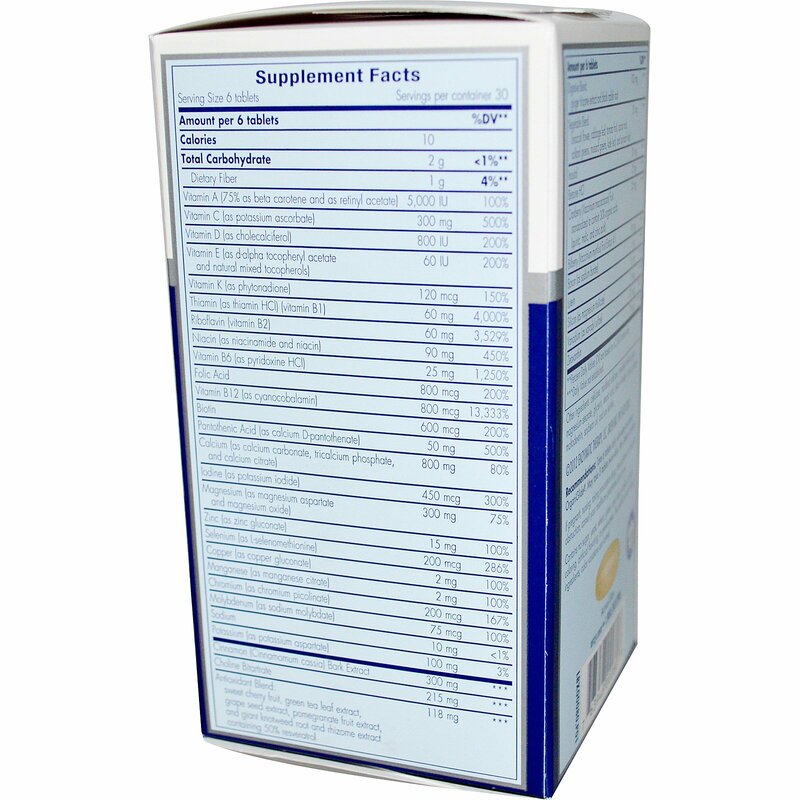 Recommendations: Take 6 tablets daily with water to activate OrganiGlide. May take 3 tablets twice daily. Best if taken with food. Cellulose, modified cellulose, modified cellulose gum, magnesium stearate, glycerin, stearic acid, silicon dioxide, acacia, organic maltodextrin, soybean oil, and soy lecithin. Contains no sugar, yeast, wheat, gluten, corn, dairy products, artificial coloring, artificial flavoring, or preservatives. This product contains natural ingredients; color variations are normal. If pregnant, nursing, or taking prescription drugs, have gallstones or bile duct obstruction, consult your healthcare practitioner prior to use.